Today I am excited to be co-hosting the monthly Awesome linkup with Anne from Love the Here and Now! Let’s get down to business with some awesome things I’m loving right now…. Spring is amazing in Indiana. Winter is grey and dreary, summer is way too hot and humid – spring and autumn are the perfect in-between seasons. I was going to go out yesterday to take some pictures of the loveliness (even though most our trees are past blooming and are just leafy now) but then it started raining. It was a full thunderstorm actually….which turned out to be pretty nice because we could sit on our lanai, eat dinner, watch the rain come down, and listen to the thunder without it being insanely humid. Plus….we’re not quite into tornado season yet, which is a huge bonus. Can you photobomb a selfie? If so, I think I managed to do so in this picture! Early last week I posted about how we were getting ready for our first house guests: my cousin Braden and his girlfriend Sabrina. I’m baaaack! I’ve pretty much been ignoring this little space since we moved. I can’t believe that we closed over a WEEK ago! Since closing on the house we’ve been insanely busy, so I figure it’s time to update y’all with what’s been going on in our lives. Today I’m linking up with Anne at Love the Here and Now and Cassie at Sage for the Journal Swap Creative! About a month ago, Anne and Cassie had the brilliant idea of pairing bloggers together and having them swap journals! 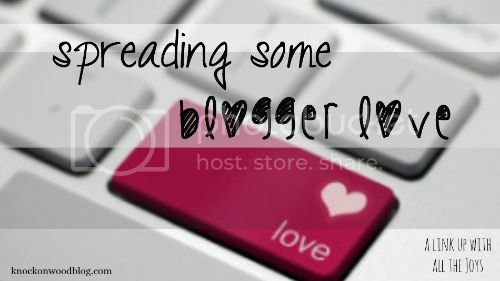 Bloggers are writers at heart, so what blogger doesn’t love a journal!? Actually, I haven’t been one to journal a lot in the past but I had been thinking of starting before Anne and Cassie announced this linkup idea – so what better time to start than now!? When I signed up for the journal swap, I had the option to get a domestic partner or an “anywhere” partner – domestic or abroad. Being a Canadian, I know that foreigners need some love too, so I picked the “anywhere” option…and I’m so glad I did! I was paired with Kimberley, who is the voice behind Peculiar Treasures. Kimberley happen to live in….AUSTRALIA! I’ve always wanted to visit Australia, so swapping journals with an Australian sounded really cool to me. The great thing about this linkup is that it allowed us to get to know other each other! I’ve really enjoyed getting to know Kimberley – she has such a wonderful heart. Ready to send Kimberley’s journal off to Australia! 1) Finding packing tape, in bulk, at Costco. Do you know how much packing tape we’ve used? Several rolls. It’s actually scary how much packing tape you need when boxing up your life to move it from point A to point B. 3) Speaking of wine glasses…I christened one of them with a glass of moscato this evening….in a bubble bath. It was the perfect remedy for my aching post-move joints. The bubble bath, I mean. But the moscato helped relax me too. 4) Katie “christening” the house by taking a piddle in the basement guest room…aka one of the few places in the house with carpet and not hardwood or tile. Oh wait, that actually wasn’t awesome at all. 5) Eating dinner on our lanai. We might not have had plates, or a table, or really anything other than lawn chairs, but it was still awesome.